-Gives you a ton of exclusive extras like a watercraft cover, USB port, removable dry bag, safety kit and exclusive coloration. 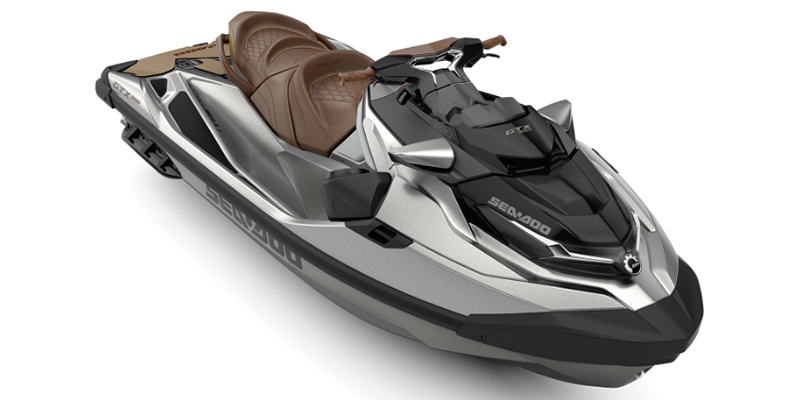 Plus a depth finder, water temperature gauge, high-performance VTS, and more. -The narrow seat places your knees closer together in a natural riding position, while the stepped seat design provides more lateral support and stability for you and your passengers. Plus, the removable rear seat gives you even more space for hanging out, sunbathing or a face-to-face picnic. -Extra rear storage is now possible with the secure Quick-Attach LinQ System. It allows to easily snap a fuel caddy, a bag, a cooler and more, to the back of your watercraft using two convenient, integrated attachment points. -The industry's first fully-integrated waterproof Audio System will keep the fun going anywhere you go, with 100 watts of total system power, fully-waterproof performance, Bluetooth connectivity, and external playback controls to ensure the perfect song is always on deck.